Achieve unparalleled comfort at home with zoned cooling and heating technology that gives you the ability to control your system via the Internet. You are reading one installment in a 10-part series devoted to exploring Mitsubishi Electric ductless cooling and heating. See all. Cooling and heating the home isn’t what it used to be—and that’s a good thing! For decades, forced-air central systems dominated the marketplace, with the majority of homeowners subjected to the limitations of an increasingly outmoded technology. In recent years, however, we’ve seen tremendous advancement across a broad swath of product categories, like home climate control. Today, homeowners enjoy a rich variety of exciting new options for cooling and heating. Of them all, there’s perhaps none more exciting than the zoned systems pioneered by Mitsubishi Electric US, Inc. Cooling & Heating (Mitsubishi Electric). Already popular in Europe and Asia, zoned systems from Mitsubishi Electric boast several compelling features including easy, unobtrusive installation and performance so efficient that homeowners can save 30 to 40 percent on their monthly energy bills. One feature in particular stands out from the rest: True to their name, zoned systems from Mitsubishi Electric reject the all-or-nothing approach of traditional cooling and heating. In the past, in order to control the temperature of any given room, you would need to run (and pay for) the system to operate in every room, even the empty ones. With Mitsubishi Electric, that’s no longer the case. Now, you can establish multiple zones in your home and, if you like, set a different temperature in each one. That means you’ll no longer need to pay to cool and heat the spaces you’re not occupying. Plus, every member of your household can finally feel at home under the same roof, as zoning accommodates the different temperature preferences of family members. In short, zoning gives you an extraordinarily fine degree of control over the climate of your home. But while targeting temperatures on a room-by-room basis may be revolutionary, it’s not the only way Mitsubishi Electric empowers the homeowner. Thanks to its kumo cloud™ app, the company’s zoned systems can be operated and programmed from any iOS, Android or Fire OS smartphone or tablet. There is even a web browser version, great for laptops or desktops. That doesn’t mean you can’t interact with the thermostat in your home; the point is, you don’t need to. With the kumo cloud app (free to use and download with a Wi-Fi Interface installed), you can modify thermostat settings at any time, from anywhere. Indeed, Mitsubishi Electric zoned systems are unique in that they can actually keep up with the busy modern homeowner who’s constantly on the go. After you’ve left the house, have you ever worried that the air conditioner is still going at full blast? 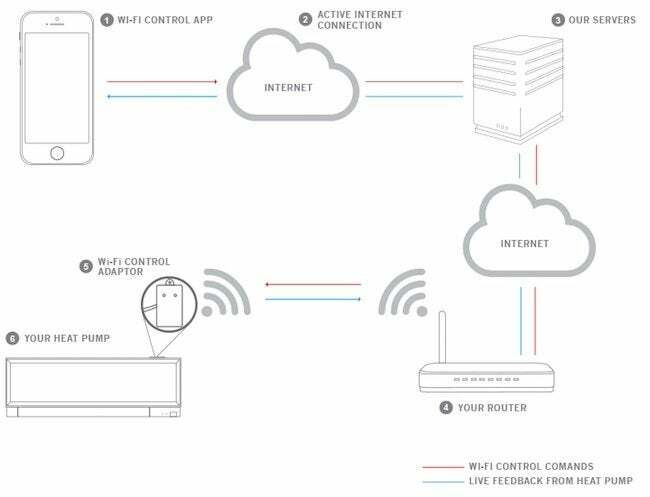 With the remote system monitoring that kumo cloud makes possible, you can simply pull out your smartphone to check and, if you want, turn the AC down or off. Likewise, if you’re heading home at the end of a long day, you can easily turn up the heat in advance of your arrival, ensuring that your home will be toasty and warm when you get there. Sure, you can always program a Mitsubishi Electric zoned system to run on a set schedule that you’ve specified. But schedules are prone to sudden alterations. Only over-the-Internet control accommodates for those inevitable changes of plan. By putting full control at your fingertips, kumo cloud enables you to handle any situation and capitalize on every opportunity to save money and ensure comfort. In the future, you may wonder how you ever lived without remote control of your cooling and heating. 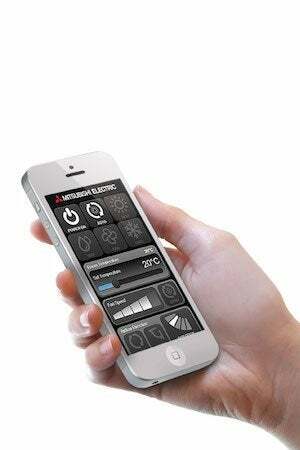 Remote control isn’t the whole story, though, when it comes to kumo cloud from Mitsubishi Electric. The technology also delivers system monitoring with push notifications and email. That may not sound like much, but make no mistake—knowledge is power. Imagine what could happen if your home were to experience a climate-control problem in the dead of winter while you’re on vacation in Florida. In a worst-case scenario, you would come home to frozen pipes and extensive, costly damage. If you had system monitoring in place, however, you could easily avoid such a disaster. Never forget that cooling and heating does more than keep your family comfortable—it often protects the home as well. It’s always in a homeowner’s best interest to be aware of the zoning system’s status. 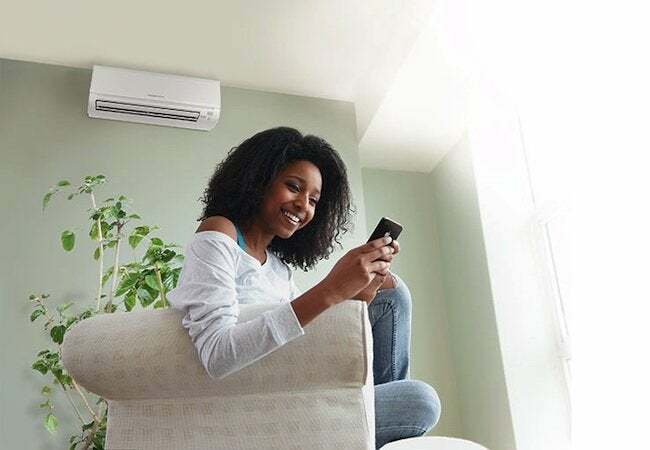 Cumbersome and inefficient, traditional forced-air central cooling and heating tend to frustrate the homeowner seeking consistent, even indoor temperatures at an affordable monthly cost. For a responsive system that can provide the comfort and control that you crave, look no further than Mitsubishi Electric. The company’s kumo cloud Wi-Fi control technology, together with the system’s zoning capability, means you no longer have to sacrifice comfort for savings, or vice versa. With finely tuned, customizable control and monitoring, you can experience the most comfortable home of your life, possibly for less than you’re currently spending each month. This post has been brought to you by Mitsubishi Electric. Its facts and opinions are those of BobVila.com.